Hashtag recommendation for microblogs is a very hot research topic that is useful to many applications involving microblogs. However, since short text in microblogs and low utilization rate of hashtags will lead to the data sparsity problem, it is difficult for typical hashtag recommendation methods to achieve accurate recommendation. In light of this, we propose HRMF, a hashtag recommendation method based on multi-features of microblogs in this article. First, our HRMF expands short text into long text, and then it simultaneously models multi-features (i.e., user, hashtag, text) of microblogs by designing a new topic model. To further alleviate the data sparsity problem, HRMF exploits hashtags of both similar users and similar microblogs as the candidate hashtags. In particular, to find similar users, HRMF combines the designed topic model with typical user-based collaborative filtering method. Finally, we realize hashtag recommendation by calculating the recommended score of each hashtag based on the generated topical representations of multi-features. Experimental results on a real-world dataset crawled from Sina Weibo demonstrate the effectiveness of our HRMF for hashtag recommendation. The online version of this article (doi: https://doi.org/10.1007/s11390-018-1851-2) contains supplementary material, which is available to authorized users. Tong Y, Chen L, Zhou Z, Jagadish H V, Shou L, Lv W. SLADE: A smart large-scale task decomposer in crowd-sourcing. 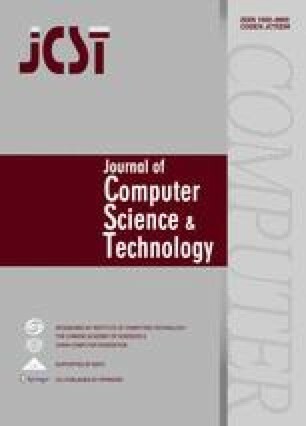 IEEE Transactions on Knowledge and Data Engineering, DOI: https://doi.org/10.1109/TKDE.2018.2797962.